Google has been working hard to expand their reviews and ratings systems, and yesterday they made a big step by announcing that they will be introducing product ratings for Product Listing Ads (PLAs). Shoppers browsing on Google will see the typical product listings they have become accustomed to, but beneath the listings product ratings will also be shown in the shape of stars and review counts. For now it appears the changes will only be seen on search results within the United States. The data used for these review listings will be gathered from multiple sources, such as merchants, third party aggregators, and editorial sites. If reviews for businesses are any indication of what this change will bring, it seems very likely that businesses offering products with largely positive reviews will be able to leverage the updated listings to not only increase their click-through rates, but to also increase conversions overall. 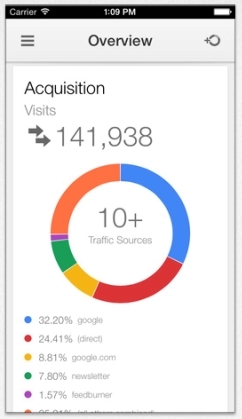 A few weeks ago Google finally got around to releasing the iOS version of Google Analytics. The app had been available for Android for quite some time, but the release to iOS makes website data available to webmasters at any time and it is fair to assume some business owners and webmasters may be trying to use Google Analytics for their first time. While Analytics is without a doubt one of the most powerful tools for analyzing your website and how others are accessing it, it can also be a bit overwhelming for those who aren’t familiar with the layout and aren’t well versed in the terminology. To help familiarize new and inexperienced webmasters with Google Analytics, Emma Barnes, who offers training on Google Analytics from Branded3, reviewed many of the most common questions she receieves and the terminology you can expect to run into when using Analytics. Once those questions are out of the way, you may find yourself tasked with another question: “just what am I supposed to do with all this information?” For that, you may want to browse the recent article titled “11 Things You Should Be Doing With Google Analytics” from Search Engine Journal. If you want to be in control of your website, you need all the information possible to make the right choices. Google Analytics can give you the numbers you want, but these resources will help you know what to do with it. The majority of reports about Facebook this year would suggest the largest social media platform is about to crumble under its own weight. But, all the latest data from their Second Quarter 2014 Financial Summary indicates otherwise. The report includes a ton of positive statistics for the social media leader, but the biggest findings are about how we use Facebook. Specifically, there has been a 19% increase in daily active users, suggesting that most people are including Facebook as a part of their daily lifestyle. 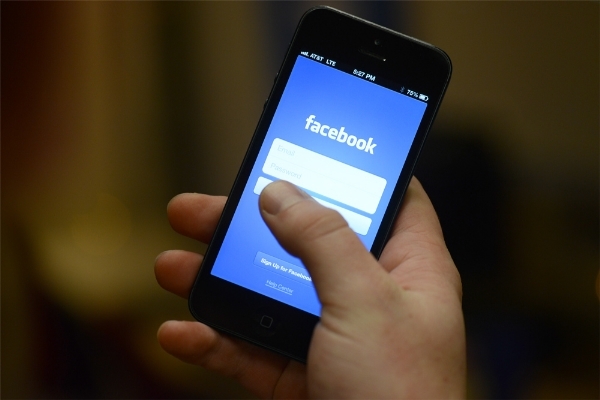 Most likely, the ability to access Facebook on the go is responsible for a significant amount of the growth. The total number of daily active users now sits around 829 million users. Facebook also saw a significant jump in revenue, growing 61% compared to last year. Unsurprisingly, mobile also played a huge role in the jump, as it is responsible for 62% of overall ad revenue for the second quarter. The report also included some other statistics which highlight the important role of mobile for Facebook. Mobile daily active users were up 39% year-over-year, reaching an average of 654 million on for June 2014. Monthly active users were up 14% over last year, reaching 1.32 billion as of June 30, 2014, an increase of 14% year-over-year. Monthly active mobile users went up by 31% compared to last year, reaching 1.07 billion as of June 30, 2014. Last night Google breathed new life into a forgotten algorithm by updating their local search algorithm to provide more useful, relevant, and accurate local search results that are more closely linked to traditional web search ranking signals. While Google has remained mum on a large amount of the details, we do know the changes can be visible within Google Maps search results as well as traditional search results. 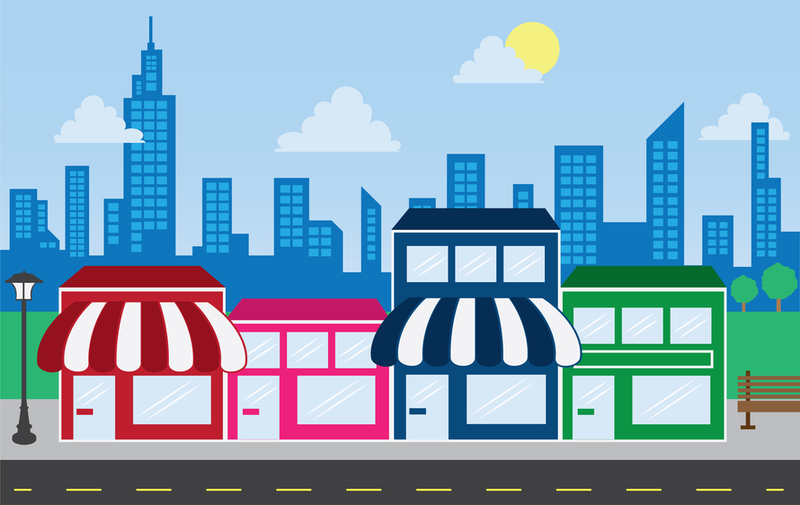 From the online discussion, it also local businesses are also getting significant ranking and traffic boosts as most responses have been positive. Most of the changes are behind the scenes, which Google doesn’t want to share with the world. However, Barry Schwartz shared that the new algorithm ties deeper into web search than previously by linking it to search features such as Knowledge Graph, spelling correction, synonyms, and more. Google also says the new algorithm improves their distance and location ranking parameters. The algorithm is already rolling out for US English results, but Google wouldn’t say when to expect it to roll out for other regions and languages, nor would they comment on what percent of queries have been effected or if web spam algorithms were included in the update. Do Google’s Algorithms Work The Same Around The World? As a business owner with an eye on your company’s online marketing success, you have likely heard about Google’s search engine algorithms. You may even have a general idea of how they function and effect your business’s online presence and marketing strategies. But, unless you spend your free time reading all the SEO blogs, you probably have some questions about some aspects of how these algorithms work. If your business does international business, one of those questions is very likely if Google’s algorithms work the same around the world. While the algorithms largely tackle the same issues, the short answer is that they do not all work the same on an international scale. As Barry Schwartz recently highlighted, you can find specific examples of when algorithms vary across borders by looking at the Google Panda algorithm. The algorithm was initially launched for English language Google engines in February 2011, but the rest of the globe didn’t see the algorithm roll out for quite some time. Notably, it took 17 months for Google to release Panda in Korea and Japan to target Asian languages. However, the Google Penguin algorithm didn’t have nearly the same delay. Penguin rolled out globally and impacted sites in any language. What’s the reason for the difference? It all boils down to purpose. The Panda algorithm focused on language and content, and those algorithms have to be customized and focused based on the wide variety of languages found around the world. Meanwhile, algorithms like Penguin target off-page technical factors like links, which raises less of an issue customization. Taylor Ball https://www.tulsamarketingonline.com/wp-content/uploads/2018/07/TMO-Logo.png Taylor Ball2014-07-24 13:15:442014-07-24 13:15:44Do Google's Algorithms Work The Same Around The World? Yesterday, Facebook announced an update to ad targeting options that will help refine your efforts to reach people on specific devices by letting you target users based on their device. In order to get high quality installs or engagement within an app, it is very important to reach the right people with the most relevant message. As a result, we are enhancing our mobile targeting for developers. The update should be rolling out over the next few days. Once it has become fully available, you will be able to deliver ads to people using a specific device and set minimum operating system version. Previously, you could target iOS or Android, minimum OS, and Wi-Fi only users. With device specific targeting you will have access to App Insights, which you can use to identify which devices are working best for your app and target those devices. This means that if you see a large amount of mobile revenue is coming from the latest iPhone, you can set ads to target only those who have purchased that device. It will also allow you to eliminate users with incompatible devices easily. Don’t go too narrow with your audience: Facebook recommends having an estimated audience size of at least 500,000 users for each ad. Customize your ad to resonate with your audience: Facebook recommends using images of the device you’re targeting in your ad. Optimize your bid for each campaign: Create different ads with optimized bids for each device or groups of devices as competition may vary by device. Duplicate content has been an important topic for webmasters for years. It should be absolutely no secret by now that duplicate content is generally dangerous to a site and usually offers no value, but there are occasional reasons for duplicate content to exist. Of course, there are very real risks with hosting a significant amount of duplicate content, but often the fear is larger than the actual risk of penalties – so long as you aren’t taking advantage and purposely posting excessive duplicate content. Google’s John Mueller puts the risk of using duplicate content in the best context,. According to John, there are two real issues with duplicate content. The first issue is that Google’s algorithms typically automatically choose one URL to show for specific content in search, and sometimes you don’t get to choose. The only way you can effectively let Google know your preference is by using redirects or canonical tags, and that isn’t foolproof. Secondly, if you are hosted a ton of duplicate content it can actually make the process of crawling to overwhelming for the server, which will slow new content from being noticed as quickly as it should be. Taylor Ball https://www.tulsamarketingonline.com/wp-content/uploads/2018/07/TMO-Logo.png Taylor Ball2014-07-21 14:07:152014-07-21 14:07:15Why Is Duplicate Content a Problem? 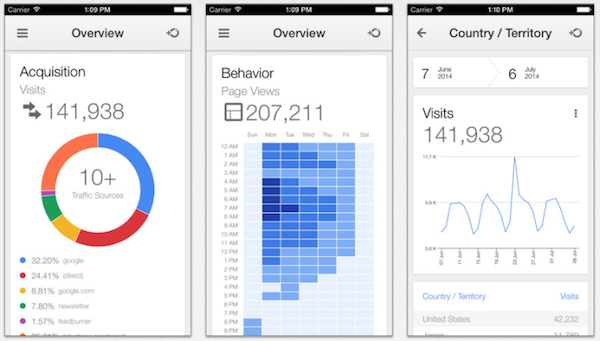 It’s been a long time coming, but starting yesterday you can download the official Google Analytics app for iPhone and iPod Touch. The Android version of the app has been available for quite a while, but naturally there was a delay before Google pushed it out to Apple devices. While the app can run on the majority of Apple mobile devices, it is optimized for the iPhone 5 and requires a device running iOS 6.0 or later. There aren’t a bunch of new features, but the app opens the opportunity for webmasters to keep up to date with Analytics on the go. You’ll find features such as sources, page views, visits, and TechCrunch says users will even have access to Real Time reports, which will allow you to monitor data as it occurs. Google Analytics is easily one of the most trusted analytics platforms out there, but new findings are suggesting it may not be as accurate as once thought. Most recently, Groupon published a study which indicates that as much as 60% of what Google Analytics calls “direct traffic” is actually from organic search. The study was conducted by Groupon’s Director of Product Management, who manages their organic search. While not entirely scientific, his study involved completely deindexing Groupon from Google for 6 hours. Deindexing means absolutely no traffic would be coming from Google for the duration of the study, which allowed the study to calculate roughly what percent of traffic is coming from organic search. During the six hours the site was deindexed, Groupon’s direct visits dropped by 60%, which led Groupon to believe that 60% of what is called direct traffic is actually coming from organic search traffic. Groupon isn’t the only site to conduct a study like this. Not long ago, Conductor, a well-respected internet marketing firm, released a similar study which led them to the conclusion that 47% of traffic came from organic search. Nearly a third of that was attributed to direct visits. After Groupon released their findings, Conductor decided to revisit their initial study to see what would happen to the results if included the conclusions from Groupon’s study into their own data. While none of this means you should give up on Google Analytics (it is the best insight you have to website performance and how Google views your site), it does suggest that it is entirely possible that a much larger percentage of traffic is coming from organic search than previously thought.